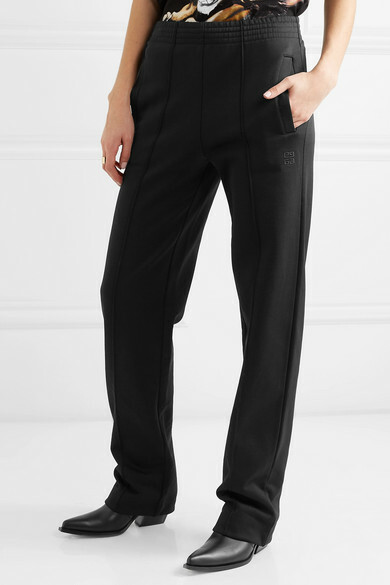 Givenchy played such a huge part in establishing the luxury-streetwear aesthetic that's now ubiquitous - styles like these track pants showcase the house's expertise. They're expertly cut from thick ponte and have a relaxed silhouette. 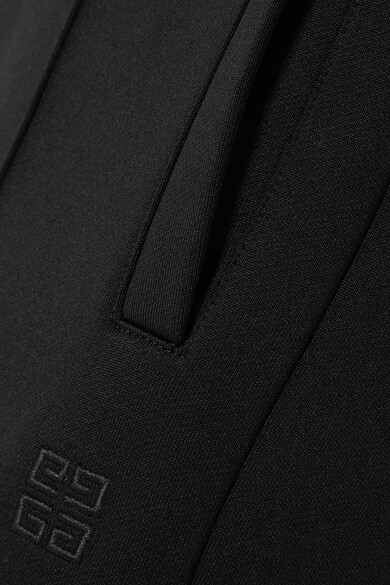 Minimally detailed with the embroidered '4G' logo, they'll pair well with hoodies and tailored pieces alike. Style with the coveted Cuban ankle boots to complete your look. 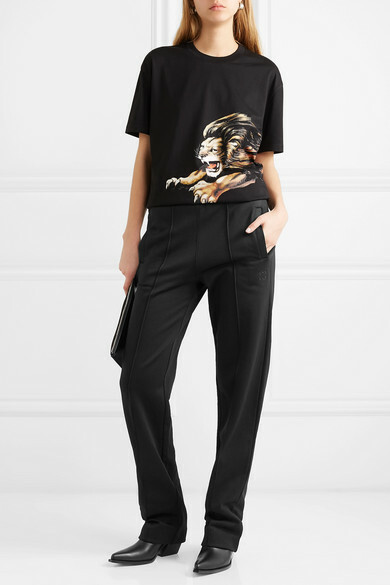 Shown here with: Givenchy T-shirt, Givenchy Ankle boots, Givenchy Pouch, Jennifer Fisher Ring, Leigh Miller Earrings.